This article first appeared in the St. Louis Beacon: August 23, 2008 - Barbara S. Eagleton, widow of former U.S. Sen. Thomas F. Eagleton of St. Louis and an influential Democratic figure in her own right, said Saturday she is "thrilled with the choice" of Sen. Joseph Biden, D-Del., for the vice presidential slot on the 2008 ticket with presumed presidential nominee Barack Obama. President Barack Obama spent most of Monday talking to officials about law enforcement and civil rights issues that are gaining traction following events in Ferguson. Vice President Joe Biden made a short stop at the Gateway Arch grounds on Tuesday, praising the Arch improvements as a prime example of successful partnerships. Last year, St. Louis voters approved a 3/16th of one-cent sales tax hike to be used alongside federal and state grants as well as private donations to pay for improvements to the Arch grounds. The total cost of the renovation of the Arch grounds is expected to be about $380 million, with about $250 million coming from private sources. The current schedule has it on pace to be completed in 2016. 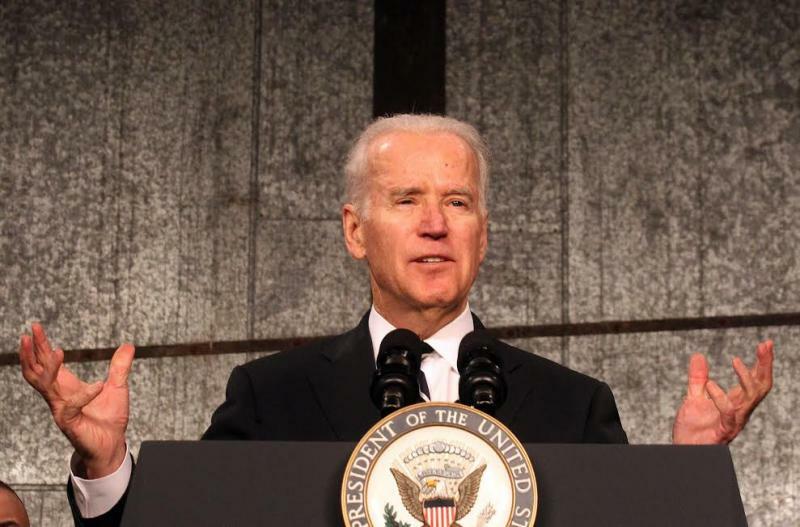 Vice President Joe Biden declared here Wednesday that the best cure for the nation's economic ills was to step up the transportation and construction spending that made America great. Vice President Joe Biden will be joined by past and present top federal transportation officials on Wednesday when he stops by Granite City to promote the five-year anniversary of the passage of the federal stimulus measure. 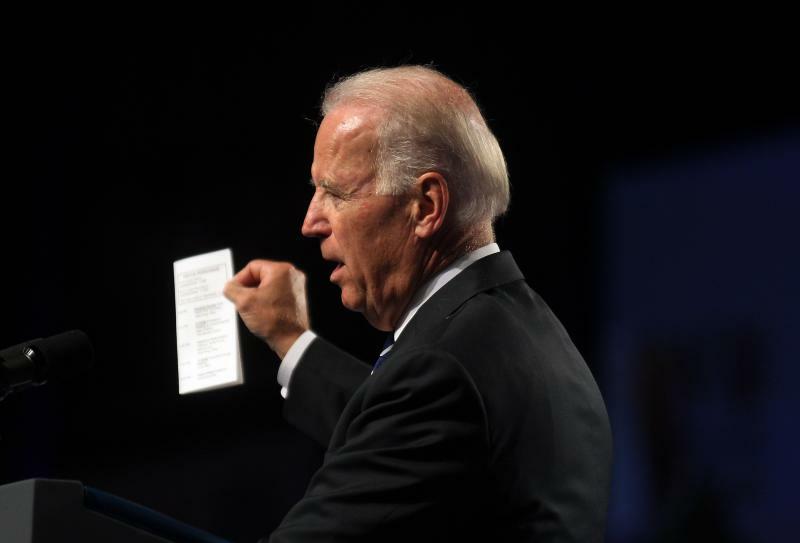 In Granite City, Biden is expected to highlight the spending on port improvements along the Mississippi River that were made possible by the American Recovery and Reinvestment Act, which was aimed at stemming the economic downturn underway in early 2009. Vice President Biden and his Republican opponent, Rep. Paul Ryan of Wisconsin, had a lively debate at Centre College in Danville, Ky., this evening — one marked by Biden's aggressive challenges to many of the Republican vice presidential nominee's claims and Ryan's oft-repeated message that the Obama-Biden administration's policies aren't working. The discussion was steered by ABC News' Martha Raddatz. 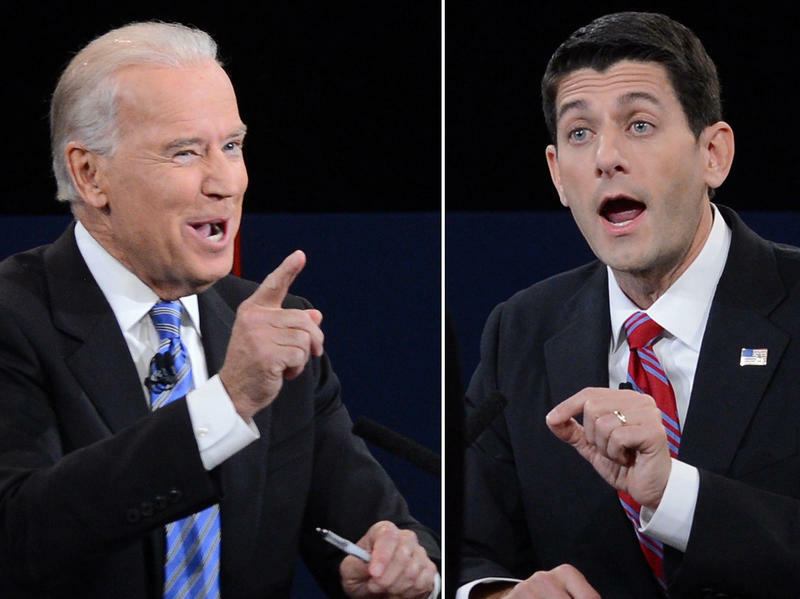 It's the only vice presidential debate of the campaign. 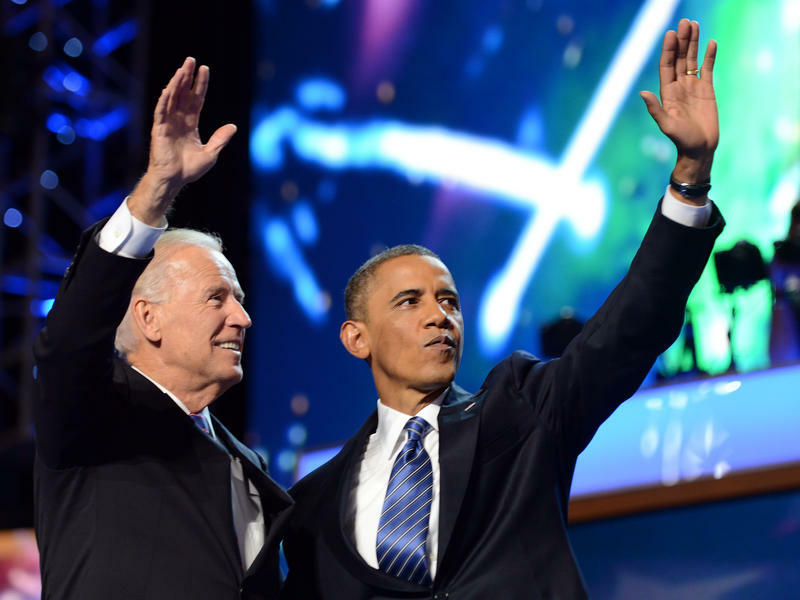 "We heard some facts being spun" Thursday night when President Obama and Vice President Biden gave their acceptance speeches at the Democratic National Convention, report the watchdogs at FactCheck.org. They and other independent fact checkers have compiled, just as they did at last week's Republican National Convention, a list of those things said by the two parties' standard bearers that don't quite add up or may give misleading impressions. This article first appeared in the St. Louis Beacon, Sept. 14, 2011 - WASHINGTON - Eliminating fraud, waste and abuse -- it's a predictable and periodic call by presidents, lawmakers and candidates who want painless ways to cut federal spending. But waste-fighting efforts over the years have seldom met their goals. Reporting from Jake Wagman of the St. Louis Post-Dispatch was also used in this report. 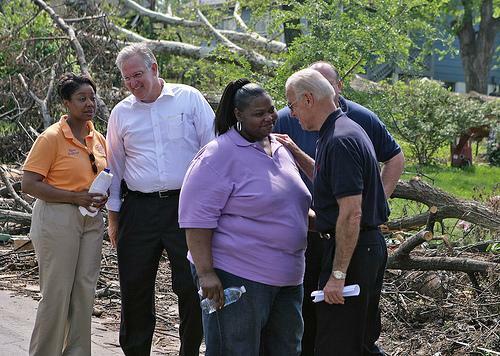 Vice President Joe Biden is getting a first-hand look at damage left from a tornado that hit the St. Louis area last month. Biden flew into the area Wednesday morning and took a walking tour with Gov. Jay Nixon of portions of the St. Louis suburb of Berkeley. Neighborhoods there still showed signs of ruin from the April 22 storms. Some large trees remain toppled onto houses while piles of debris were found along many of the streets. This article first appeared in the St. Louis Beacon, Dec. 18, 2008 - Since the election, President-elect Barack Obama has identified an imposing team of appointees to help him address a daunting list of challenges. One of the important resources he has, in managing that team and in responding to those challenges, is Vice President-elect Joe Biden. This article first appeared in the St. Louis Beacon: October 2, 2008 - As recently as Aug. 31, the vice-presidential debate scheduled for this evening at Washington University, offered little in the way of anticipation or excitement. However, since the Republican National Convention in Denver, and the surprising showing of the unheralded and largely unknown Sarah Palin, governor of Alaska, self-described Hockey Mom and youthful new face of the GOP, the vice-presidential debate turned into the most anticipated theatrical event of the season. 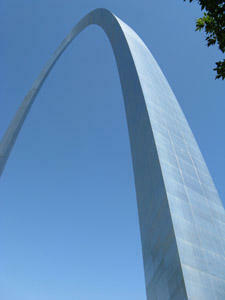 This article first appeared in the St. Louis Beacon: October 2, 2008 - Gov. Sarah Palin gave a strong performance in Thursday night's vice-presidential debate at Washington University -- but so did Sen. Joe Biden, said those attending the 90-minute face-off, as they exited the hall. 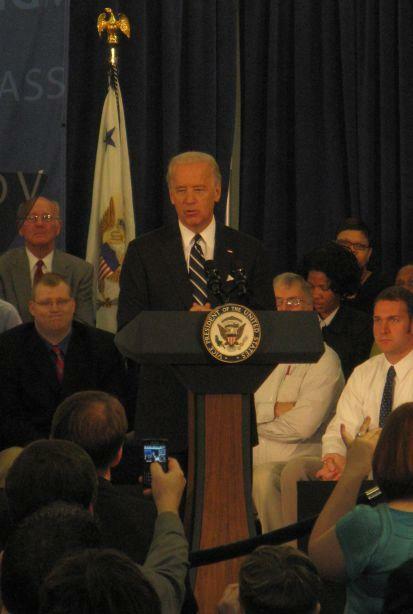 This article first appeared in the St. Louis Beacon: October 2, 2008 - Sarah Barracuda showed up for the vice presidential debate at Washington University Thursday night with Sen. Joseph Biden. Gov. Palin looked straight into the camera to appeal directly to "Joe Sixpack," promising to put the "government back on the side of the people and to stop the greed on Wall Street." This article first appeared in the St. Louis Beacon: October 2, 2008 - Sen. John McCain will not, of course, be on stage at the vice-presidential debate but in a very real sense the debate is as much about him as about anyone or anything else. The event constitutes a reckoning of sorts for him. Voters will be observing and judging the performance of Gov. Sarah Palin but the conclusions they reach will and should shape their assessment of Sen. McCain.